But the biggest change of all came in the form of Jim “Big Tuna” Halpert’s new job. Located in Philadelphia (a solid two-hour drive from Scranton, according to Google Maps), the company was founded by Jim and friends, and will provide sports marketing of some kind. So why does watching him (mostly) succeed make us want to stab our eyes out? Jim, you didn’t tell Pam you took the job?! Why isn’t Jim keeping Daryl in the loop? He left the Christmas party early (for shame). The company has all of Jim and Pam’s savings? Without Pam knowing? Not to mention we don’t even know what this company really does... other than sports-y tasks and make us question Jim. This growing list of suspicious behavior is making us like Mr. Halpert less, and praise Pam for putting up with him. But really, it’s making us question the writers’ choice of how to portray this new event. Now we have doubts about Jim and Pam’s relationship; I’m still not over the lie. What’s next, they announce Jim’s the Scranton Strangler?! And we’ve wanted Jim to have a better job for years (or at least in theory so he doesn’t leave the show). But now that it’s finally happening it’s a cringe-worthy, constantly awkward, hands-over-the eyes story line. Does this mean Jim is meant to sell paper? Or, hopefully, it’s the start to Jim and Pam’s future spinoff series, The Family or Jam. For this, NBC, perhaps your viewers could forgive you. I know I would. I think a lot of this falls into category of *trying to* make the resolution of Jim's storyline through to the series finale interesting / funny. 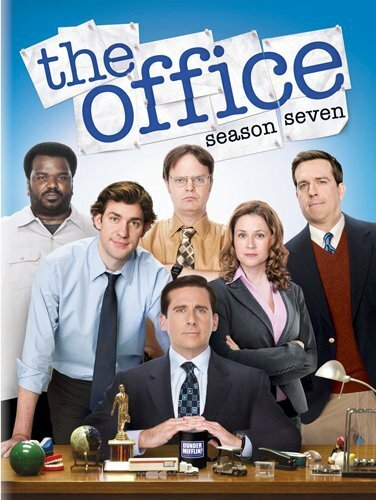 But you're right -- whereas the drawn out romance between Jim and Pam was sweet and funny over the course of a few seasons, so much of the plot devices on The Office over the last few/several seasons feel mechanical or as you say, awkward. Great stuff Bethaney, welcome to TVGA ! It really bothered me that they were trying to cause a rift between Jim and Pam, but it worked out in the end. The drama didn't really need to be there. I think his new job gives the Halperts a good ending which is a fresh start in Philly and Jim finally doing something he wants to do. I agree about Andy, he has become super annoying and I wouldn't mind him not coming back to Dunder Mifflin. Time for Erin to move on.